I bet this method would work for the side of our refrigerator! 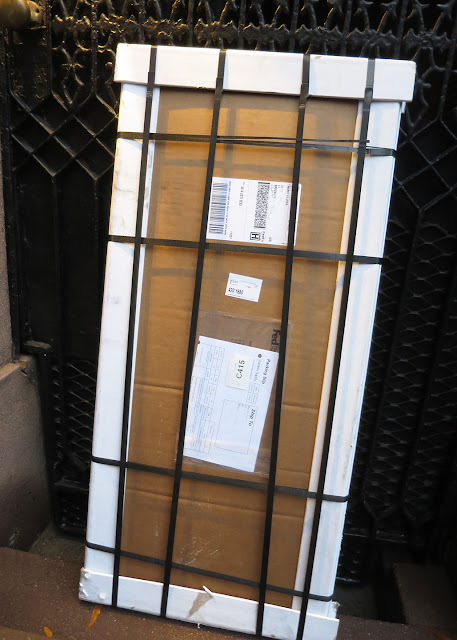 Sans steel sheet. Thanks for the jar and magnet source! 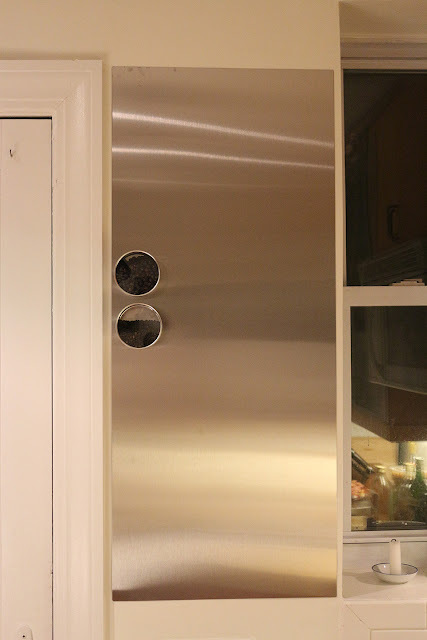 Yes, they stick to fridge doors. These are where mine currently reside on the side of the fridge. 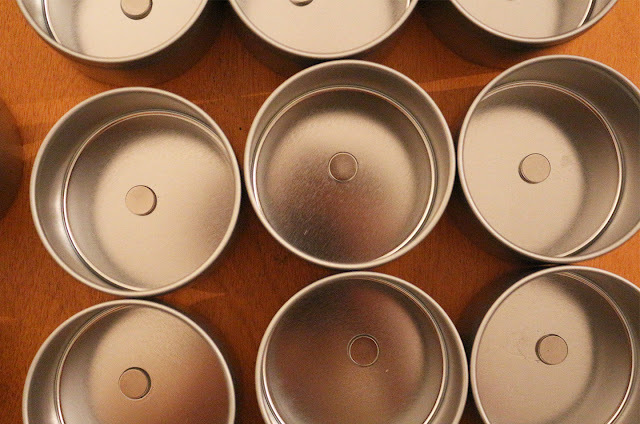 Gruntal Ikea magnetic pots. 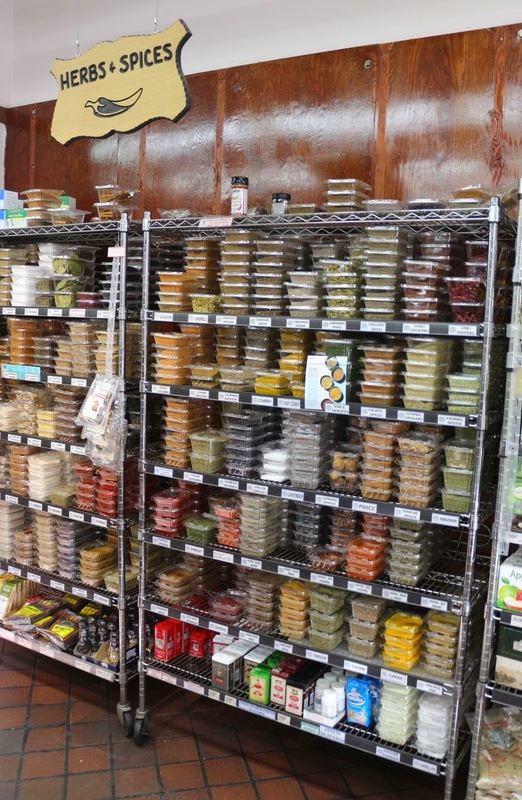 They have been amazing to have after having a huge basket full of jars that had be unpacked everytime you needed something! Makes such a difference to have everything so close and handy. I have a metal strip that holds my knives - love it. If I had a kitchen that opened up to the garden I'd be in heaven. Check out Carson's 7msn post on making foamed milk in the microwave. 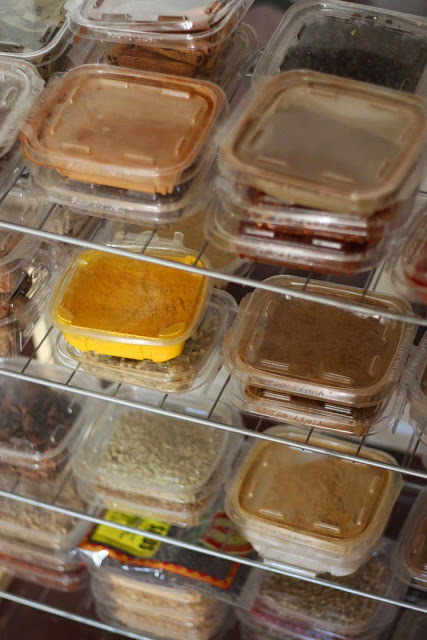 I am in love with your new spice storage solution - brilliant job, Marie!!! I would smile looking at that, also. 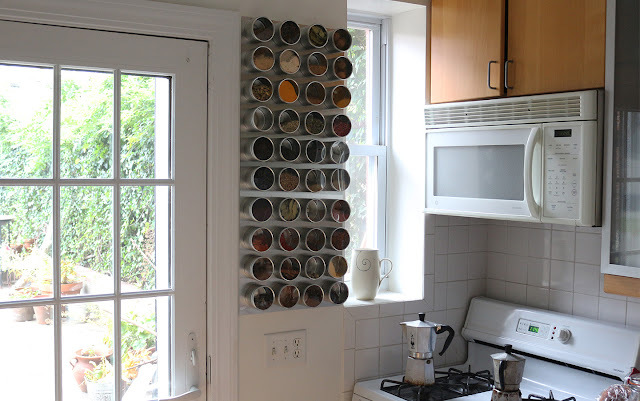 I have my spices in their little jars in three wrought iron racks near the stove, and even that makes me smile - but your solution is far more visually appealing...now the wheels are turning in my head!! Congrats to you, excellent solution!! Marie--you could just store things in the microwave. But you could also check out from the library Barbara Kafka's terrific Microwave Gourmet. You'll find, especially if you're jammed for oven or oven-top space, the microwave can help you handle a big dinner. Polenta, risotto--really are beautiful that way. Also, custards, puddings and you'll never melt chocolate a different way. No more double boilers. And, the microwave cooks fish beautifully and gently. Merry Christmas to you and yours! We have the same rotten microwave...and use it to keep all kinds of things in! Brilliant! Thank you for the tips!!! Poifict solution!!! And yes, I find dust-collecting microwaves equally mysterious. I cook starchy things. Potatoes, white and sweet aren't waterlogged. Beets, Corn on the cob (with husk and strings), Rice, Quinoa..
Beautiful spice rack! Impeccable construction and installation (30" of plank, oh my!)! 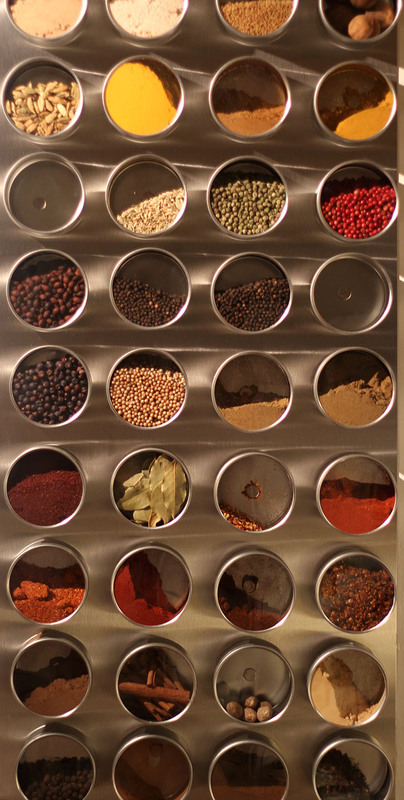 I love the spice rack you created. The size of the jars is so appealing- you are right, so many have those tiny jars that hold a few tablespoons that mean the rest of the spice must be stored elsewhere. But these are brilliant.